The Temptations had a big hit with "My Girl." Otis Williams, bottom right, is the last living band member. 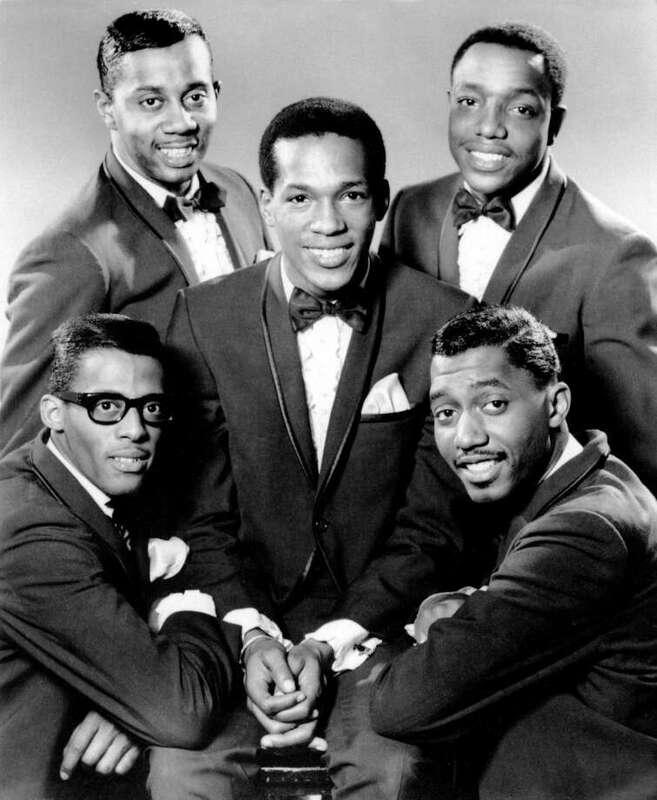 The others were, clockwise from bottom left, David Ruffin, Melvin Franklin, Paul Williams, and in the center, Eddie Kendricks. Earlier this week, the highly-anticipated Alive@Five lineup was announced. Now music fans in Stamford can get excited about Columbus Park's other summer concert series. Jazz Up July is back with a new name and a new vibe. Wednesday Nite Live! will branch out from just jazz music to feature all types of genres from doo-wop, to jazz, to funk and rock. Click through the slideshow above for the full lineup. Concerts are every Wednesday in July; admission is $10.00. Click here for more info. Since Alive@Five is only open to those 21 and older this year, Wednesday Nite Live! is an option for younger music fans, in fact, children are admitted free of charge (though the lineup does cater toward an older crowd). Last year, Jazz Up July's big headliner was disco legend Gloria Gaynor. Other notable acts have included the B.B. King, Boz Scaggs and The Bacon Brothers.